In years gone past, songs were the form of documenting our stories – telling the stories of those who had gone before, our histories, our tragedy’s and our hopes. And music accompanied, being the one thing that could transverse those feelings that could sometimes not be voiced. This is at the very heart of The Soldier’s Wife. The past 4 years has seen a small group of Queensland songwriters go on a truly remarkable songwriting journey – to tell the stories of women whose partners have served in conflict over the past 60 years. 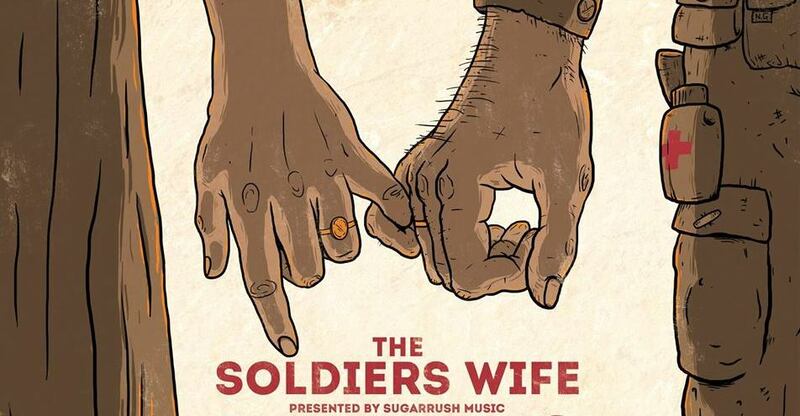 To tell the stories of Soldiers Wives and their families and of their personal sacrifice. old. From varying backgrounds and conflicts, from remote and regional areas to inner cities, their personal journeys all have similar themes of love, of loss, of existence and most of all of resilience. The artists use their voices and their muse to hold legacy to these stories and to share them on stage – these are not just stories of incredible women – they are stories of our history and of the new generation. These song have been performed across Australia at festivals and venues including The Sydney Opera House, Woodford Folk Festival, MONA, Cygnet Folk Festival, CoCA, Brisbane City Hall and many many more. The artists involved represent a mix of vast songwriting experience and community experience and talent. Australian Music Prize nominee and vocal powerhouse Jackie Marshall; North Queensland based Roz Pappalardo (best known as one half of Women in Docs); fast rising new talent Emma Bosworth, country blues artist Kristy Apps, Melinda J Wells and Deb Suckling (Lucy Star Satellite). Now these stories have been documented into a double album and a book – giving further voice to these women and families and creating a way for the wider community to listen and learn from these experiences.